Beautiful heart-shaped glass place cards to add an imaginative touch to your table settings. Part of the "With Love" range, these cards feature a laser-cut design on crisp, sugary pink card, perfect for giving your wedding décor a touch of vintage-style romance. 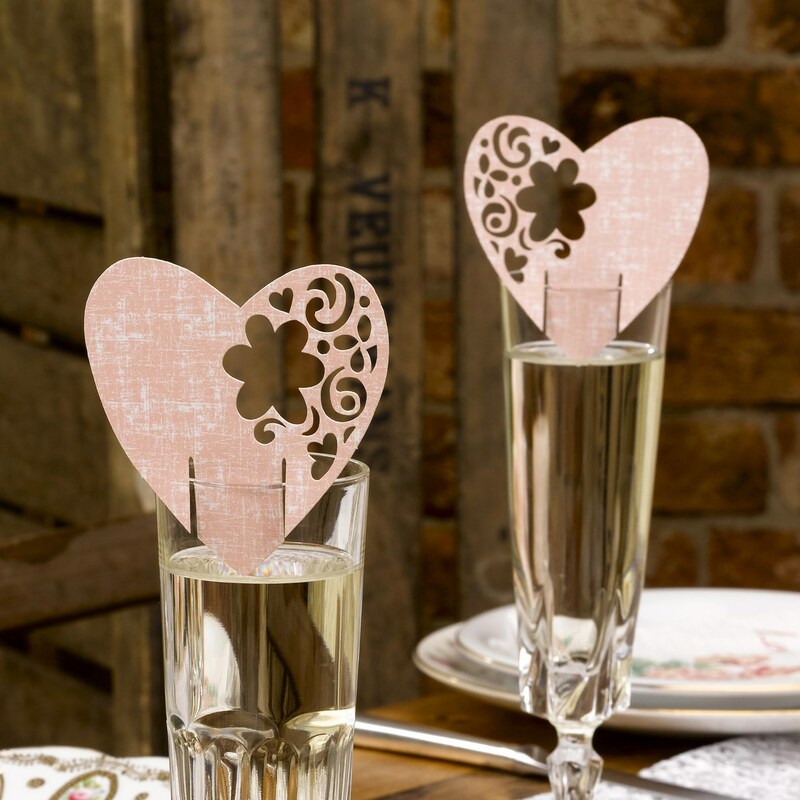 Offering something a bit different to traditional name cards, these delicate hearts look stunning displayed on your glassware, and can be used alone or co-ordinated with other pieces in the "With Love" collection.